« What Are the First-Year Costs That Come with Raising a Baby? Winter is almost over and summer is just lurking around the corner. It’s finally time to head outdoors and indulge yourself in brunches, parties, and galas. This year instead of just flocking into regular clubs and restaurants for fun, try out the newly trending mobile bars serving food, wine, and booze on the go! 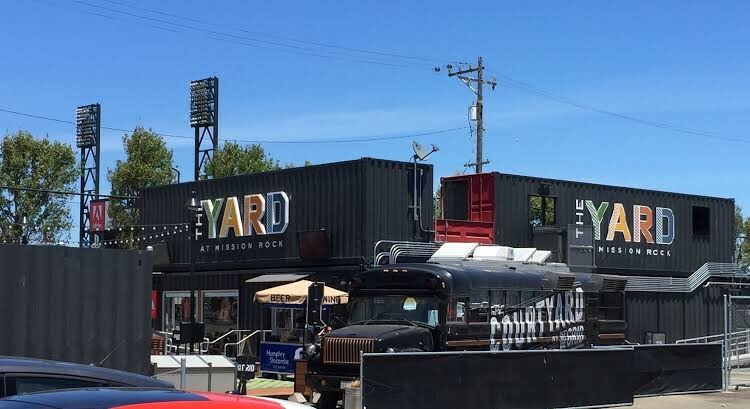 The food industry revolution that began with food trucks and pop-up eateries has now extended to bars on wheels, transforming any space into a great time. Not only will these booze cruisers quench your thirst during spring, but also help make your weddings, garden brunches, beach parties, birthday celebrations, and themed corporate events a grand success. All your dreams of lavish vineyards, paddocks, warehouses, and reserves on your own front yard can finally come true! 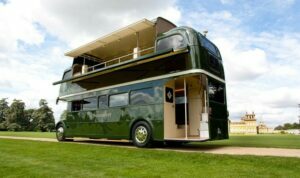 The mobility and versatility of the services of these vintage caravans are fast improving with their increased demand. From bicycle inspired setups to rehabbed school buses these wino vans ride around in different shapes and sizes providing you all the world-class delicacies and drinks you desire. 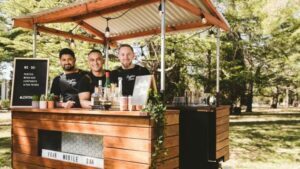 Lenton bar which is fitted to a trailer is located in Canberra and is a personal favorite of many Australians. It was founded by Amit Oberoi, Manuk Samarasinghe and Matt Harris, who are well versed in the hospitality industry. The idea that people are shifting away from traditional fixed-bars and expecting an innovative experience that’s in their control, is what inspired them to begin this endeavor. Bringing the party wherever you want it the crew at Lenton bar efficiently arranges various events, markets, games, and weddings for a variety of clients. They serve diverse cuisines along with some classic beverages like the Southside cocktail and gin and tonic. Lenton’s license permits them to function from 7 am to 12 am works perfectly fine for those who want to start off early in the day with a wine toast and for the party animals wanting to rave late into the night. The bar prides itself in partnering and collaborating with other businesses like event management companies and platter vendors that aid them in further enhancing their customer satisfaction. 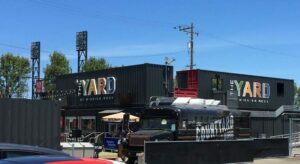 A year-round food and drink village that has been created out of recycled shipping containers, the Yard is located in San Francisco, USA. A former school bus that has now been converted into a wine bus is a complete treat for your eyes, stomach, and soul. If you are a wine enthusiast this is the right fit for you as the bar brings a rotating selection of wine from Sonoma, Napa, and Washington. Their beer menu is the second highlight, with beer from Anchor brewing company being their star. Their friendly staff, humble service and sumptuous nibbles like fish, tacos and garlic lime potato wedges are what makes the Yard a hit. 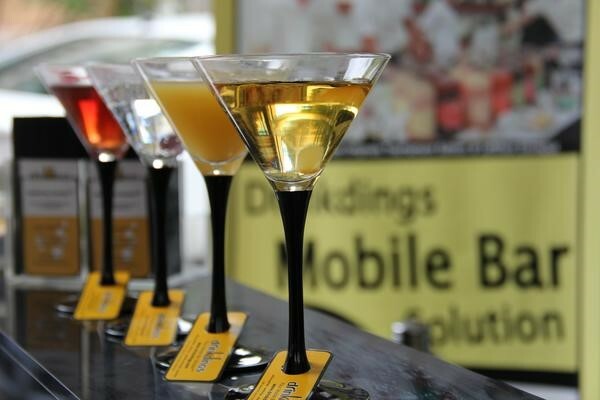 Drinkdings in Singapore works with a motto why go to the bar when you can bring the bar to you? Champagne, cocktails, mocktails, shooters, wines, beers name it and they have it. Drinkdings is the most accurate house party solution. You should try the signature cocktail made from drinks like the macallan 18, andre champagne. They’ll keep the drinks flowing for more than two hours non stop while you enjoy your rendezvous with loved ones Their finger foods and bar bites are simply otherworldly. If it’s your birthday Drinkdings is who you should be calling. They’ll cook up a customized birthday invite cocktail just for you which will compliment your cake and personality. Sounds like a birthday of a lifetime, doesn’t it? 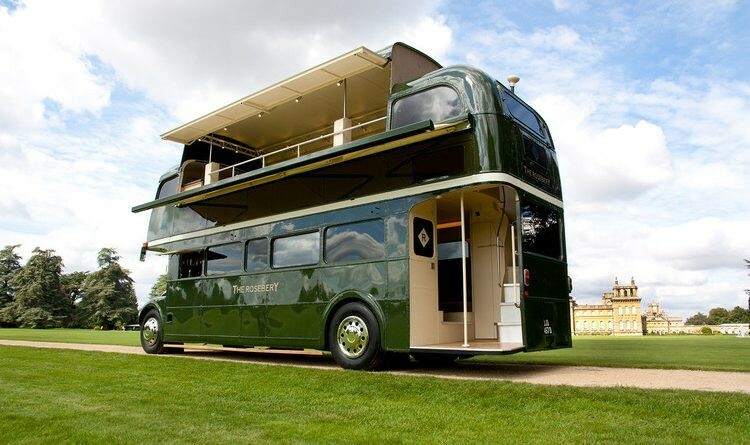 Imagine riding in an elegant double-decker bus. Now spice it up and picture alcohol being served inside. Sounds heavenly right? Well, you can come back to reality now as this is exactly what the bus bar in London, the Roseberry has in store for you! A 1966 London Routemaster has literally been converted into a cocktail bar on the ground floor and a dining area on top that is completed with a raised roof that can be opened on hot days. One can wine and dine, or pick and play any one of their games, which they got a whole cupboard full. They have high-quality sound systems and TVs, so you can enjoy sports matches or not miss out on your favorite shows while moving around the city. Roseberry also works with popular event planners and top chefs like Mark Hix and renowned restaurants like Zuma. Roseberry is where you should be taking your partner on a rosy romantic date as it is the bar’s specialty and enjoy it to the fullest with a glass of the divine Laphroaig 18-year-old single malt scotch with malted milk biscuits. 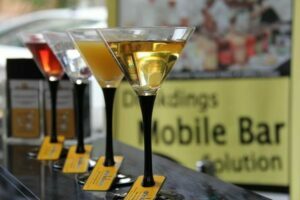 Now you know how to get the best food and wine without breaking a sweat, with such wonderfully convenient mobile bartending remedies. Don’t stress out as your booze is on wheels coming home to you! So ‘raise the bar’ prepare yourself to amazed by these unconventional moving bars.